A 47 year-old man visited our hospital because of acute onset dyspnea for 1 day. He had taken 4 day sightseeing tour to Cambodia a month prior to admission and has never traveled overseas except that. He didn\'t have any contact with soil and fresh water for travel in Cambodia. He was welder but jobless from 1 year ago. He has suffered from gingivitis for 20 days and was diagnosed as diabetes 4 days prior to admission. At admission, he appeared acutely ill, with tachypnea, tachycardia, hypotension, oliguria, and crepitus on the left lower lung field. He was afebrile. Analysis of blood laboratory test showed hepatitis, acute renal failure, metabolic acidosis, high CRP and high Hb A1C. HIV was negative. 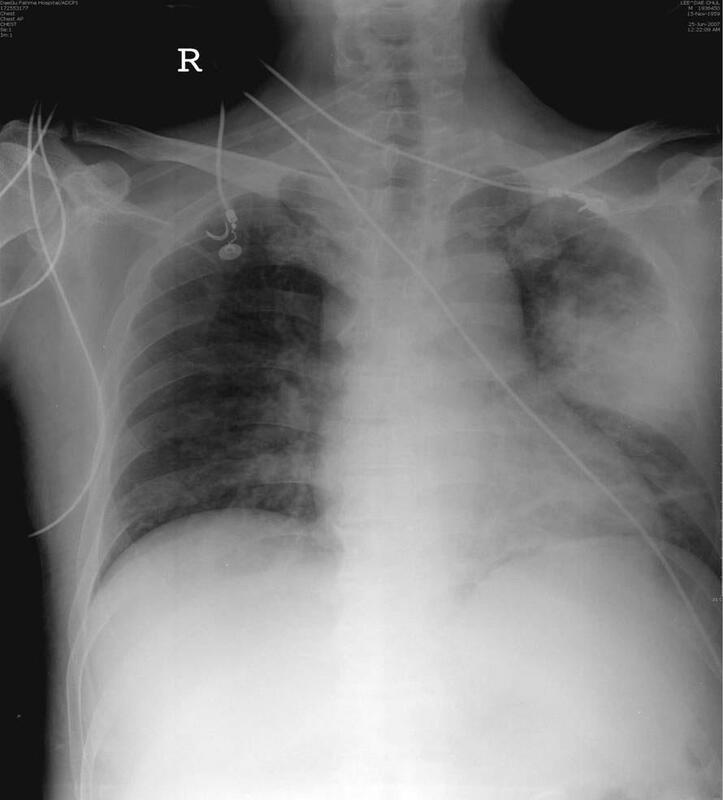 Analysis of chest radiograph showed consolidation on the middle left lung field. 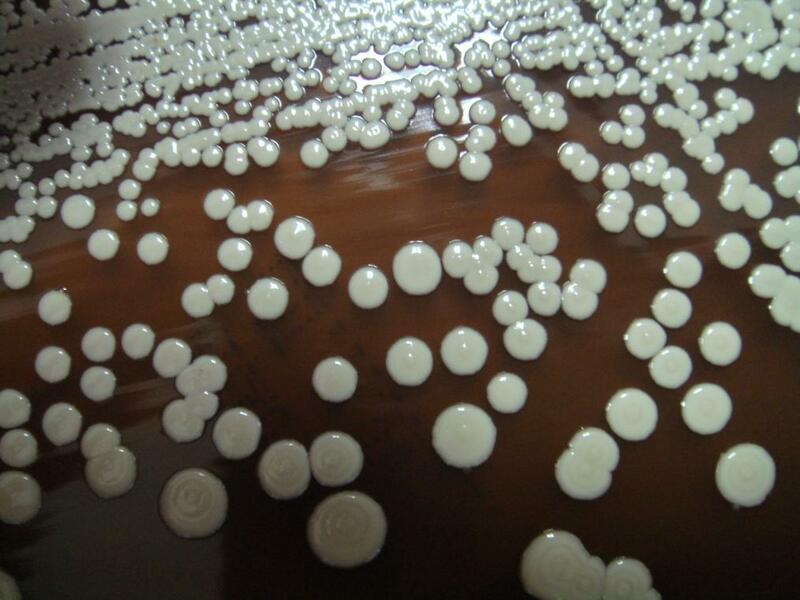 Broad-spectrum antibiotic therapy with intravenously administered cefepime and azithromycin was commenced. His condition was deteriorated despite antibiotics, inotropic support, mechanical ventilation and continunous renal replacement therapy, and he died 10 hour after admission. Causative microorganisms grew out form the premortem blood cultures. What do you think the most likely diagnosis is? Melioidosis, which is infection with the gram-negative bacterium Burkholderia pseudomallei, is an important cause of sepsis in Southeast Asia and northern Australia and mainly affects people with underlying predisposing conditions. It presents as a febrile illness, ranging from an acute fulminant septicemia to a chronic debilitating localized infection. Only two cases with chronic infection have been reported in Korea. Both patients had lived in Southeast Aisa for more than 1 year. Although the meliodosis associated with international travel is very rare in Korea, because it is occasionally serious and potentially lethal, travelers with underlying predisposing conditions such as diabetes mellitus should take precautions not to be infected by Burkholderia pseudomallei.